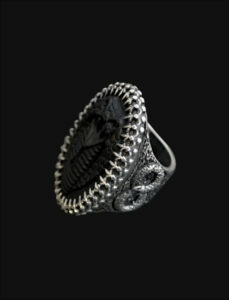 Hand carved black Onyx and sterling silver ring. 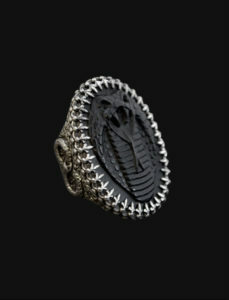 Unique ring from One of One collection. 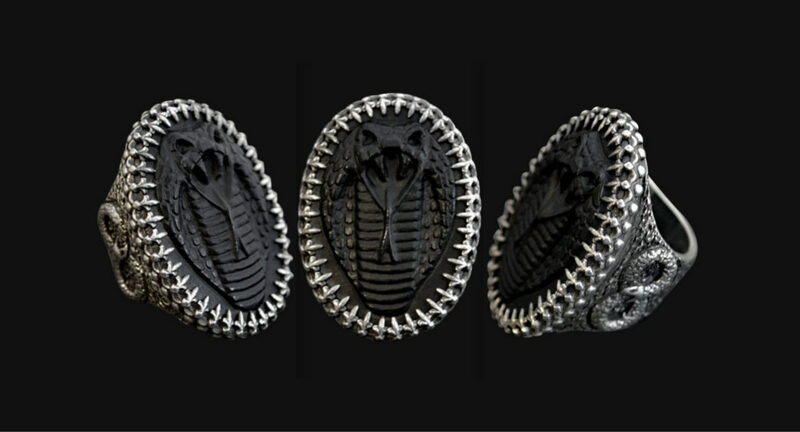 Black Onyx is a hard stone (7 on Mohs Hardness Scale) it takes 4 to 6 weeks to carve a gemstone this style. 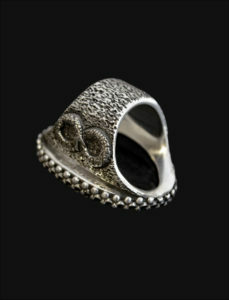 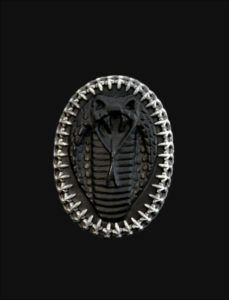 The ring is carved in wax and cast in sterling silver. 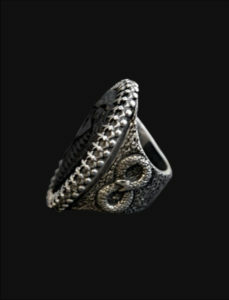 Only one piece, available in selected sizes.